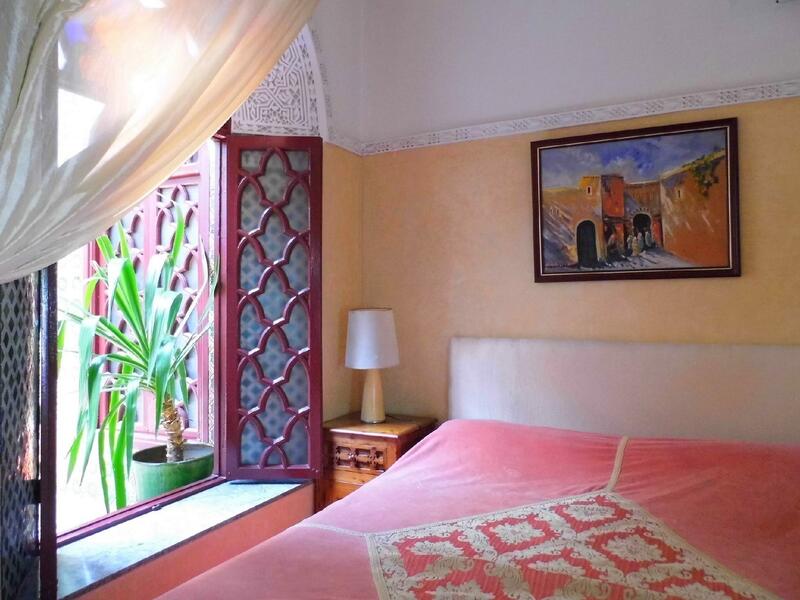 ﻿ Riad A La Belle Etoile Salé. JIMAT di Agoda.com! Ada soalan mengenai Riad A La Belle Etoile? Bagi para pelawat yang ingin menikmati sepenuhnya pengalaman di Rabat, Riad A La Belle Etoile merupakan pilihan tepat. Keseronokan pusat bandar hanya sejauh 1.0 km sahaja. Persekitaran yang terjaga dan kedudukan berhampiran dengan Rabat Old Town, Galeri d'Art Nouiga, Flea Market membuatkan penginapan ini menjadi tarikan. Kemudahan dan perkhidmatan yang disediakan oleh Riad A La Belle Etoile memastikan penginapan yang menyenangkan bagi para tetamu. Fasiliti utama di penginapan juga termasuk Wi-Fi percuma semua bilik, Wi-Fi di tempat awam, tempat letak kereta, khidmat bilik, pengangkutan lapangan terbang. Alami bilik dengan kemudahan berkualiti tinggi sepanjang anda menginap di sini. Sebahagian bilik menyediakan televisyen skrin rata, karpet, teh percuma, minuman alu-aluan percuma, cermin untuk memudahkan tetamu berehat dan kembali bertenaga. Di samping itu, pihak hotel menawarkan aktiviti rekreasi untuk memastikan anda mempunyai perkara untuk dilakukan sepanjang penginapan anda. Nikmati perkhidmatan yang sukar ditandingi dan lokasi benar-benar berprestij di Riad A La Belle Etoile. The location is not good,it’s in sale,far from the Rabat station and Medina.My booking is double sea view room but the room is very dark and doesn’t have a window even though the host had given us another big family room.The description of my reservation contains all the tax,but we still were charged the so called ‘living tax’ by the host for 40 per person per night.It’s really a terrible experience. Please note: this is not a 4 star hotel, it is a typical accommodation. Everything was clean and tidy, the staff is friendly and very helpful. 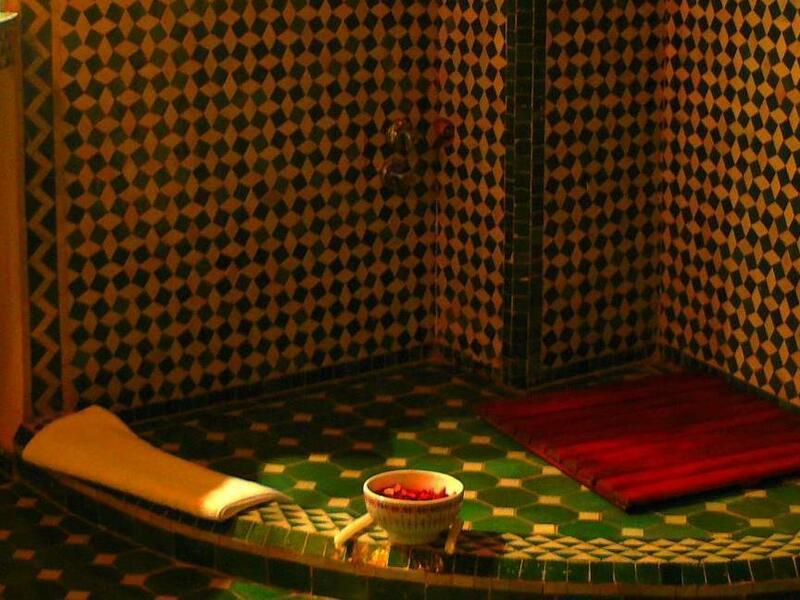 The location is not Rabat but Sale. The location is not the best. 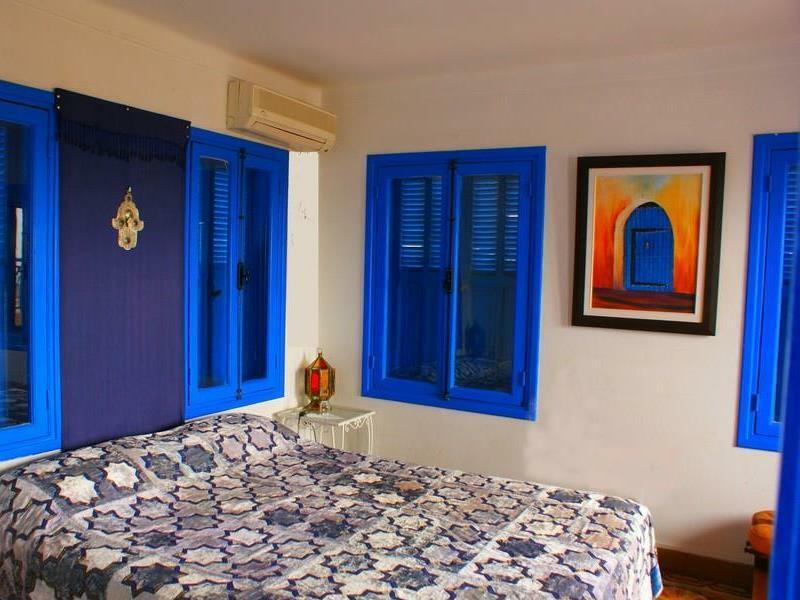 The accommodation is difficult to find in a side street. Overall, price and performance fit. It’s a very good place to stay. I like it here. It was a great experience and thanks for everything! I love the place. The roof top is one of the best place to hang out after a long day of walking. The owner nephew or perhaps son is very accommodating. 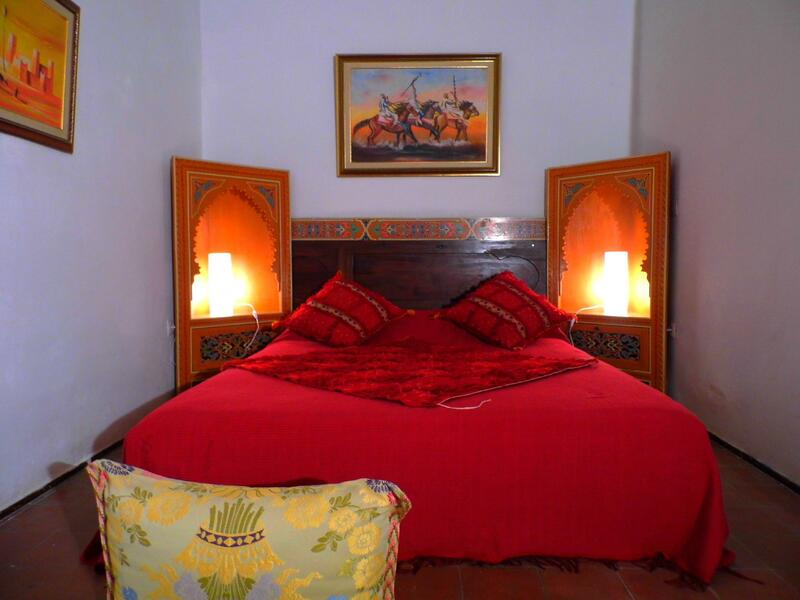 This riad is beautifully restored and worth going for a night as a special treat. The ladies who work there are very friendly. We had a fabulous although again very expensive meal the first night, the second night the meal was pretty mediocre. we were expecting a bit more than chicken couscous and fruit salad. The hotel also advertised free mineral water so we were surprised to be presented with a bill for two bottles of water consumed in our room when we left. It's not that we mind buying our own water but think they should honour their advertising promises. The owner shouted at me loudly in front of other guests when I queried this. Totally unnecessary and embarrassing. On the third night we were told we had to move rooms. dmittedly it was an upgrade but we didn5 want to change. Sale itself is a complete dump and there is little other choice for eating unless you go to Rabat for the evening. It was an OK experience. Dont pay more than £30 -35 its not worth more. the wife cooks a brilliant tagine dish and the views from the rooftop room. 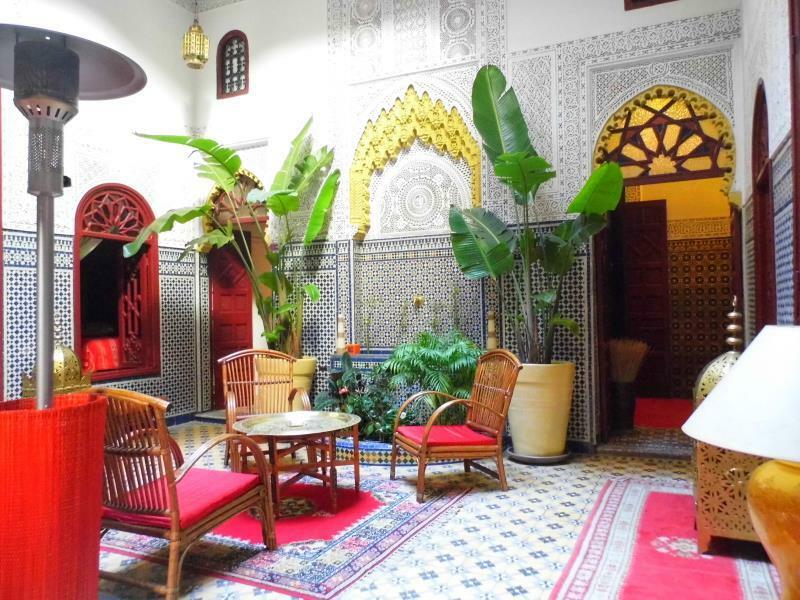 I loved this place - the first riad i stayed in in Morocco. And i would definitely stay there again. The couple who run it are very pleasant, breakfast was good, so was dinner. 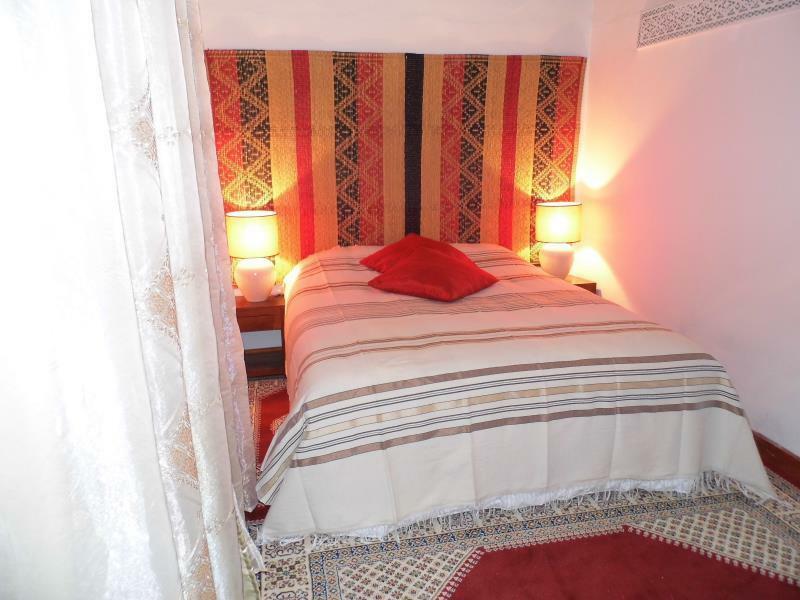 It was much nicer to stay in Sale than in Rabat and this Riad is an example why. We had the room on the roof and we had the whole place to ourselves. the view across the town is fantastic. The rooms were really nice, I loved the high ceilings and the details. The service was good, they were very pleasant. The breakfast was nice as well. The only negative part is that you can't lock your rooms, but it wasn't really a problem for us either. We felt safe there. 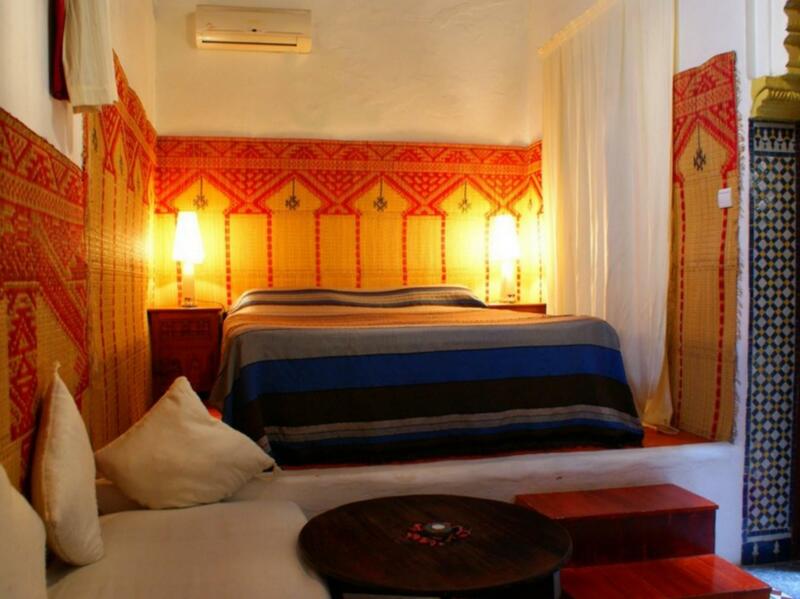 The riad was good, clean and safe. the staff was very helpful and hospitality at high level. the honnesty of the owner in showing you all the best without any back mind or profits. Rabat was simple city for 1 day enough to visit. very good night sleep. 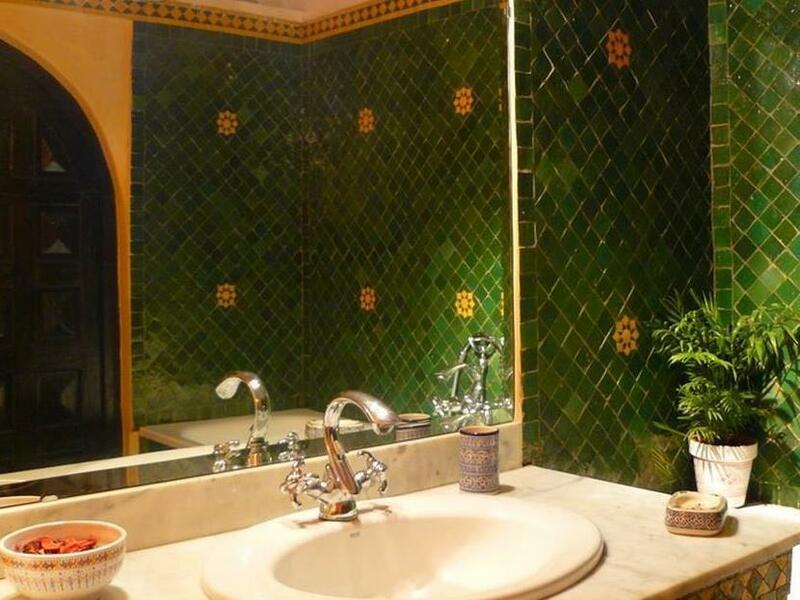 quiet and nice decorated. minor problem with the drain was quickly solved. the room was upgraded. so i stay in the room that so elegant. i really like my stay there. and staffs are so nice too.